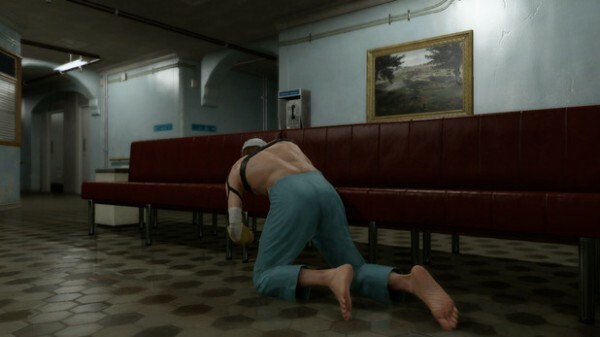 Escape the hospital without triggering reflex mode in the first Phantom Pain episode. This mission is pretty straightforward. Just follow Ocelot’s lead through the hospital and don’t blindly run ahead, or you may find yourself in the midst of a team of armed soldiers. The only area where you need to employ a bit of strategical thinking is when you reach the room with curtained beds on either side. Ocelot will hide over to the right and you’ll have to crawl forwards on the left. The soldier will start pulling back the curtains around the beds in front of you, beginning at the far side of the room. Move into the first cubicle and wait here until he switches sides. Quickly scooch forward to the cubicles he just checked, and watch events unfold before moving on. If you don’t want to trigger reflex mode, don’t get spotted. This becomes a bit more challenging to avoid when you split up with Ocelot near the hospital exit, but take your time and utilise cover and you’ll be fine. This same area is where you’re most likely to be in a position to be attacked by the Man on Fire, so keep your distance and get to the exit as fast as possible. It may looked blocked off, but it won’t stay that way for long.